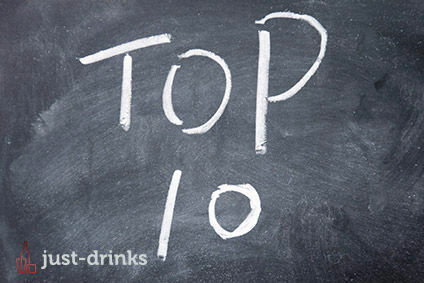 The on-premise channel remains a key testing-ground for new drinks products and has always pointed the way for trends in the wider beverage arena. Ben Cooper looks at some recent research and examines why on-premise trends are so influential. An indication of the continued influence that trends in the on-premise channel have on the broader drinks market can be seen in the consistent level of consumer research it has always attracted. The principal reason why the on-premise has always been of such interest is its prevalence of 'early adopters', and recent research by brand marketing specialists Protein focuses exclusively on this segment of the buying public. One irrefutable facet of early adopters is that they are a seemingly-inexhaustible subject of discussion. The Protein study, based on a survey and face-to-face interviews with some 5,100 early adopters across ten "cultural capitals", is now in its sixth year. The report defines early adopters as the "gatekeepers" to the mass market. "Once you win the favour of these hard-to-please gatekeepers," it states, "it won't be long before the wider, less culturally-savvy masses start engaging with your brand." This is the classic rationale for tracking early adopter trends and it still holds true. And yet, certain trends identified in the report speak to a critical change in the early adopter world. "The early adopter consumers are entering a new stage in their evolution, and this is largely thanks to their unprecedented level of connection. Having instant access to almost all media ever produced has had a profound effect on their mentality. They want to be as culturally-travelled as possible, to know the most, see the most, hear the most and read the most. And now, thanks to a society where almost anything is available to you whenever and wherever, they can." Connectivity is clearly an influential mega-trend, but what does it mean for the exclusivity of the early adopter scene and their potency as trendsetters? Instantaneous mass communication and, of course, peer-to-peer communication via social media must also mean a certain democratisation in the way trends are set. That said, the position of the bar and club as the natural habitat of highly-influential, trend-setting consumers appears more than safe. The Protein report also points to "Real Connection" as a driver. "Our audience is craving real-life interactions more than ever, as they begin to realise digital tools often stunt the growth of meaningful connections," the report states. However, the search for the tangible, for authenticity, has never been higher, and this is also borne out in Protein's deep dive into early adopters. "Trust in institutions is waning. Regardless of who or what, our audience is treating everything it sees with a sceptical eye." This scepticism is, on the face of it, not great news for brand marketers, and certainly means that fortune will favour the innovative. Some of the tried-and-trusted techniques that have served those seeking to seed brands in on-premise markets for decades appear of less value today. The Protein report found that only 12% of early adopters are swayed by packaging design when buying a drink, while only 5% find celebrity endorsements to be a winning marketing tool. Provenance is closely linked with authenticity and some 22% of those surveyed stated that they look for locally-sourced produce when buying a drink. The connections between premium status and on-premise trends appear enduring, however, with Protein finding that only 12% of the sample saw cost as the influential factor when choosing what drink to buy. However, expectations of quality for the money they pay appear to be rising. Some 45% said they were more inclined to buy a drink that is "high calibre" compared to 26% who are swayed just by recognition of the brand. It is in the nuanced art of extrapolating where the on-premise sector in one country may be pointing towards a potential trend in another that the brand strategists earn their corn. Other recent research conducted by Nielsen and on-trade consultants CGA aims to compare trends in the US and UK on-premise sectors. One trend highlighted in the Nielsen CGA study speaks directly to the desire for authenticity and provenance among on-premise early adopters. "A more mature US craft segment has a greater share (31%) but slower growth (1%), suggesting an opportunity to export into the UK, a market hungry for innovation," the report states. "The UK's craft category looks to be a few years behind its US counterpart, demonstrating significant growth (+40.0%) but accounting for just 4% share of the overall beer category." On the other hand, the research suggests there is "headroom" for cider in the US on-trade. Meanwhile, details of a survey of US drinks wholesalers, published last month by Morgan Stanley, will prick the interest of drinks marketers in the UK's on-premise, not least in what it says about vodka. One of the staple spirits categories in the on-trade in both countries, vodka boasts a 29% share in the US and 33% in the UK, according to Nielsen/CGA figures. According to the Morgan Stanley survey, almost three quarters of the wholesalers predicted flavoured vodka volumes would decline in the coming six months, the highest percentage expecting a decline across any category "by a considerable margin", and none expected flavoured vodka volumes to increase. However, more than 40% expected volume growth in unflavoured vodka, and once again the consumer drivers identified in the Protein research appear to be reflected. More than 50% of wholesalers expected an increase in volumes for Diageo's premium vodka, Ketel One, over the next six months, compared to less than 20% for Ciroc. Furthermore, the growth seen in 2015 for Tito's Handmade Vodka is forecast to continue. "We did not include Tito's in the quantitative section of our survey, but we were struck by the number of respondents highlighting Tito's in the qualitative section," the report states. "Based on numerous responses, we expect Tito's momentum in 2015 to continue throughout 2016. Clearly this means taking share from existing players." The on-premise picture that market research paints today is without question markedly different from that of five or ten years ago. But, 'twas ever thus. This is a market defined by constant change. Fast-moving fashion and the desire to stand out from the crowd means the influential consumers who frequent these channels, and whose tastes are of such burning interest to brand marketers, have an in-built resistance to being pigeon-holed. As soon as brand strategists believe they have a handle on things, the market moves on. What emerges clearly from research into today's early adopters and Millennial consumers is that this attribute of on-premise drinkers is now more pronounced and significant than ever.